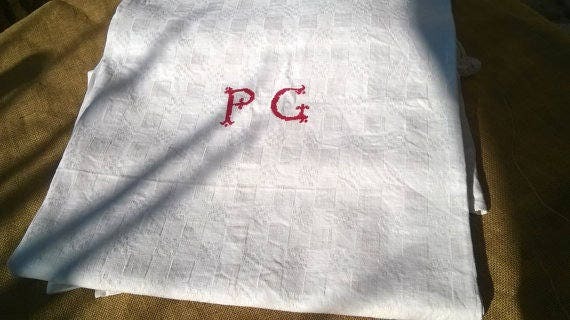 Gorgeous rustic Vineyard tablecloth. 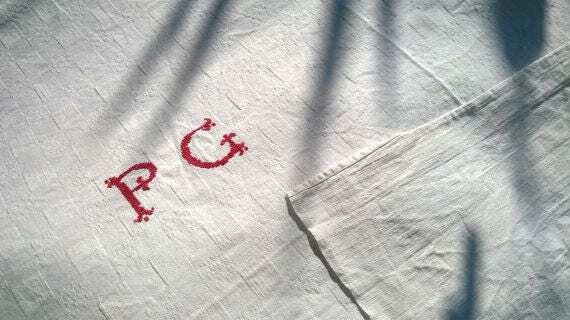 Thick Damask checkered white French metis linen tablecloth with large red monogram hand embroidered. 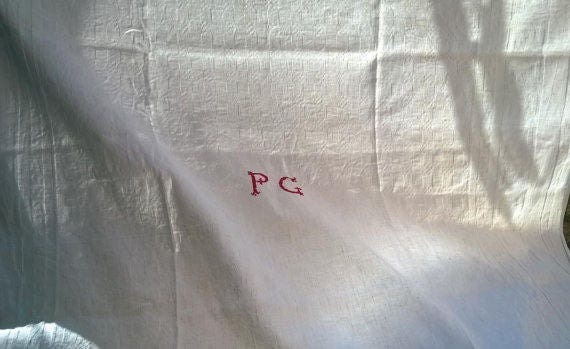 In French country side while grape harvesting we used to set up the table with those kind of tablecloth. Good vintage condition , could last another 100 years. 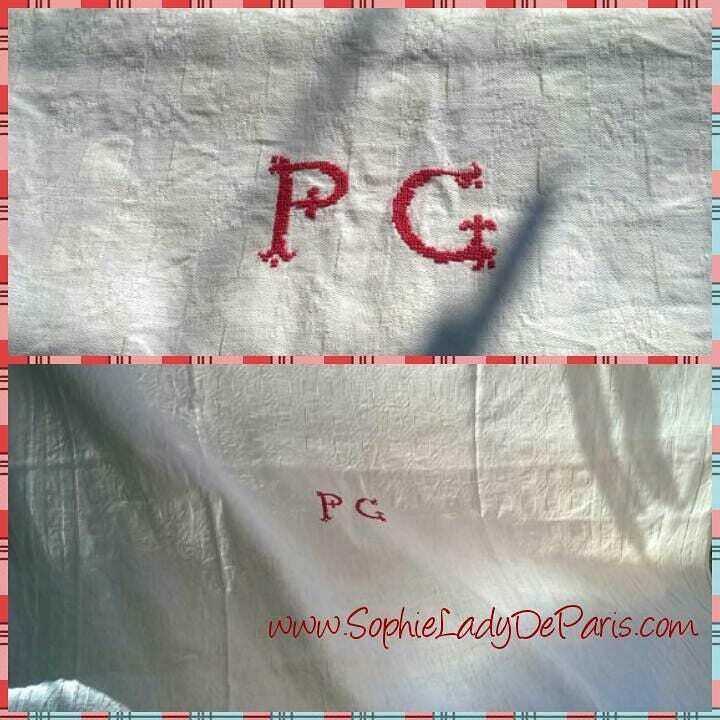 French have lots of linens and clothing because of the wedding trousseau custom which stopped in the 60's. 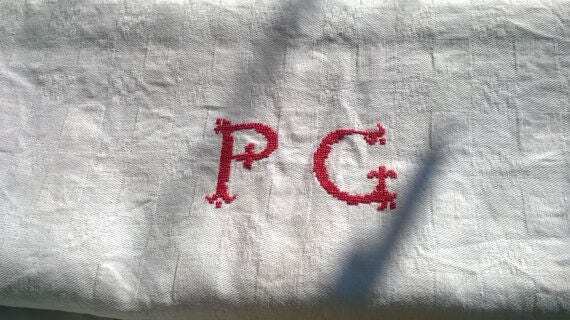 Ladies used to sew a lot to prepare, handmade, hand embroidered, monogrammed clothing and linens. Free shipping - 1 week delivery to the US .